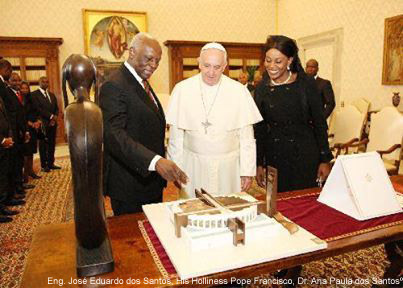 JOSÉ EDUARDO DOS SANTOS, PRESIDENT of the Republic of Angola, in an official visit to the Vatican, offered to HIS HOLINESS POPE FRANCISCO, the model of the basilica of „Nossa Senhora da Muxima”, a Project of the Portuguese architect, JÚLIO QUARESMA. 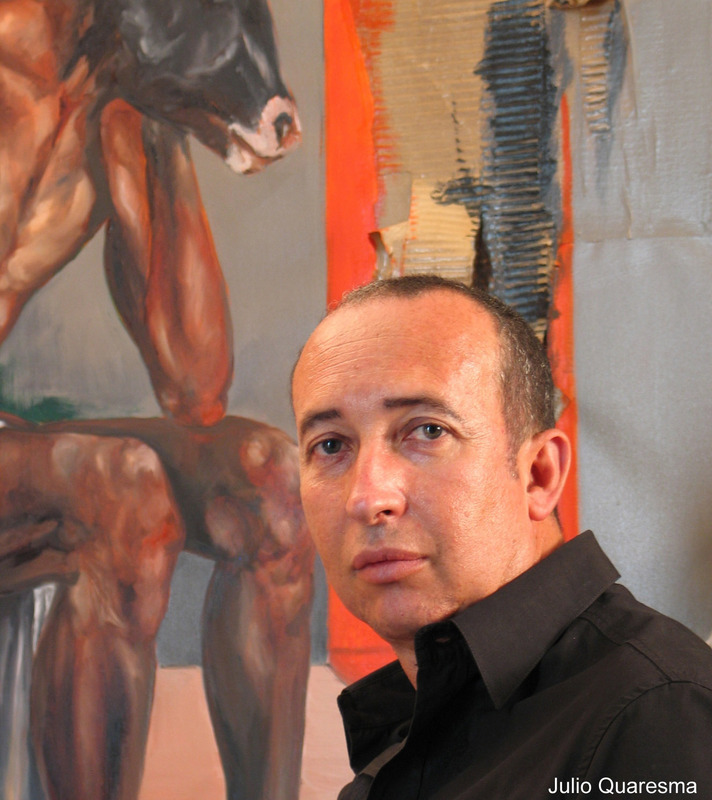 The model, made in marble, was executed by the sculptor MOISÉS PRETO PAULO from the „Centro Internacional de Escultura”. The project of an ecological basilica, which will imply a revolution in the existing environment, with the creation of a sustainable city, and the professional and social re-qualification of the population.